Why Use RV & Boat Storage? If you love to hit the wide open road during the summer months, or you would love to take advantage of the fact that you are close to both Lake Lavon and Lake Ray Hubbard then Party Barn Boat & RV Storage can help. In the past, you may have hesitated when it comes to purchasing an RV or boat. Not many homeowners or renters really have the space to keep a boat or RV on their property and even if they do have the space, they may feel that it is more valuable being used for other things. This is where boat and RV storage can help. RV & Boat storage can help you get the most out of your free time, without having to worry about where you are going to store everything. You can find covered storage to help protect your valuable investment. Many storage facilities are much more secure than your front or back yard, offering features like electronically secured gates and on-site staff. You can hire a storage space that provides electrical hook-up so that you can work on repairs, clean your RV and spend time organizing for your next trip. The extra space provided allows you to maneuver your RV or boat in without having to worry about blocking those in your neighborhood. For a small monthly price, you can keep your boat & RV protected and secure whilst still have easy access. Flexible lease contracts allow you to only rent space when you actually need it. You can still enjoy your favorite leisure activities without having to worry about people complaining about your RV or boat blocking their view or taking up the yard. If you are looking for boat & RV storage, contact Party Barn Boat & RV Storage today. Our convenient Wylie, TX location is situated between two beautiful lakes and offers a clean and secure space for you to protect your valuables. Contact us today at 972-442-9499. They don’t call our region the City Between the Lakes for nothing. Many people love to flock to Wylie and take advantage of all the recreational opportunities our area’s two lakes have to offer. So there are always plenty of boats and recreational vehicles in the area. But what happens when that weekend on the lake or camping trip comes to an end? 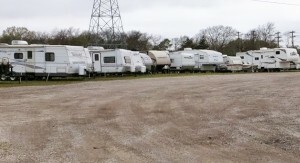 Where do locales and summer renters go to find a boat & RV storage facility that they can trust? The answer is Party Barn Boat & RV Storage. At Party Barn Boat & RV Storage, we make tucking away boats and recreational vehicles until they are needed again extremely easy. Our well-maintained facility has everything outdoor recreation enthusiasts need to store their precious gear. For example, the road to the boat and RV storage area is protected by 12-inches of crushed asphalt and the gate is operated using a code. Consequently, getting into and out of the facility after a morning, afternoon or evening soaker is never a problem. The road will hold up under the pounding rain and if it’s still pouring when you arrive on site, you’ll be able to use the code to access the secured areas without ever having to get your feet wet. On top of that, our 5+-acre boat and RV storage area has a variety of uncovered, covered, open and enclosed options to choose from. But perhaps best of all, they’re located within a few minutes of the city’s famous lakes. So, you’ll be able to avoid weather related problems other boat and RV owners face as well as get to the lakes before anyone else. And we all know that when it is prime fishing or camping season, no one wants to be the last guy or gal to the party. 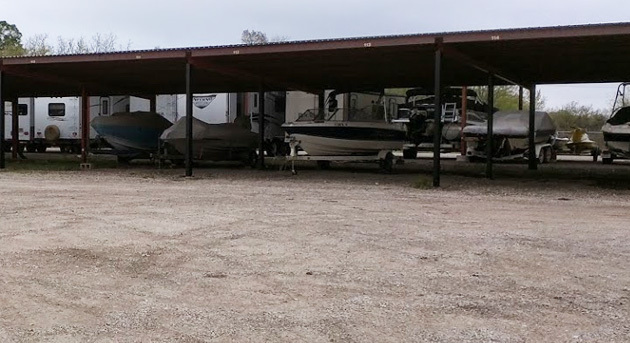 To learn more about the best boat and RV storage facility in the City Between the Lakes, please contact us online, by phone or in person today.